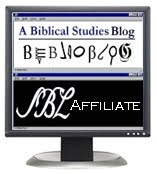 The Sacred Page: Repetitions in the Bible: Literary Seams or Literary Artistry? Repetitions in the Bible: Literary Seams or Literary Artistry? In 1753, Jean Astruc (pictured right) published a work entitled, Conjectures sur les memoires originaux don’t il paraît que Moyse s’est servi pour composer le Livre de la Genèse. Avec Remarques qui appuient ou qui éclaircissent ces Conjectures. The book was first published anonymously. The book would influence scholarship in a major way for generations to come. Astruc noted that there were repetitions in the Flood narrative in Genesis. He chalked up the duplications to the notion that behind the final form of the Genesis narrative lay two different accounts of the Flood; instead of synthesizing the two accounts, the final editor placed both versions of the Deluge essentially side-by-side. Following Astruc’s analysis, scholars since have seen repetitions and duplicates in the Biblical text as evidence of literary “seams” in the text. But is such a conclusion warranted? Perhaps repetition is not the product at all of the joining together of sources but rather best explained as careful literary artistry. Indeed, as more recent literary and narrative analysis has shown, it seems clear that repetition was the result of literary design. Gen 6:8-9: 8 But Noah found favor in the eyes of the LORD. 9 These are the generations of Noah. Noah was a righteous man, blameless in his generation; Noah walked with God. The passage seems to follow a careful literary design, which reveals ways in which duplication of material plays an essential role to structure. The careful design highlights Noah's righteousness. Gen 7:21-23: 21 And all flesh died that moved upon the earth, birds, cattle, beasts, all swarming creatures that swarm upon the earth, and every man; 22 everything on the dry land in whose nostrils was the breath of life died. 23 He blotted out every living thing that was upon the face of the ground, man and animals and creeping things and birds of the air; they were blotted out from the earth. The text here seems to flows according to a carefully designed structure in which repetition is carefully employed. This kind of repetitious structure seems apparent not simply at the micro-level but also on a larger scale. In particular, Wenham has highlighted the apparent concentric design of the entire Flood Narrative in Genesis 6-8. The structure clearly highlights the idea of God remembering his covenant. What’s the take away from all this? It would seem that the early source-critics were mistaken. Duplication is the result of something more than sloppy editing. Evidence of multiple sources disjointedly combined? Really? Perhaps instead the carefully planned repetition highlights a highly sophisticated literary unity than has been overlooked. Gordon J. Wenham, “The Coherence of the Flood Narrative,” Vetus Testamentum 28 (1977):336-48. This repetition lends credibility to not only Oral Tradition but also to the manner of Oral Tradition: song. Thanks for posting on this! I'm a big fan of the inverted parallelism or extended chiasm, and of Gordon Wenham's scholarship. But over time I've become more skeptical of the claims to find longer ones, involving relatively vague thematic parallels rather than clear linguistic ones. I also find it difficult to envisage someone carefully composing a story with this sort of structure and balance, and then having the treatment of the repeated themes so out of balance - e.g. 3 verses worth on one side, half a verse on the other. It didn't let me subscribe the first time, so I'll add a P.S. Kenneth Bailey has done some similar work with inverted parallelism in the New Testament, in particular the parables in Luke. I find those somewhat more persuasive. On the one hand, the longer the structure proposed, the less obvious it seems to be. On the other hand, I'm not sure whether a structure like this would be an aid to memory, or an additional challenge to remembering the story accurately. But once again, thanks for posting on this! B - and the earth was filled with violence. C - And God looked upon the earth, and, behold, it was corrupt; for all flesh had corrupted his way upon the earth. A' - and, behold, I will destroy them with the earth. The Hebrew word for "corrupt" in A is the same one as "destroy" in A'. B and B' are pratically identical. C and C' begin with "And God," followed by His's action and a mention of "all flesh". This sort of structure pervades the entire body of Scripture. When one sees the Bible as a single unit, the same style of refined structural patterning begins to emerge within a broader context that comprehends even more than one book and not single pericopes only. To stay at one plain example: the many great themes found early on in the book of Genesis correspond to the great motifs that end the Bible story in Revelation - heaven and earth, light, the trees in the garden, the river of water of life, marriage, and on and on. The Bible ends as it begins. Is it just me or are some parts of the text left out? (6.11-13; 7.6, 8.2, 4, 14, 21; 9.5-6). In addition, the order of 8 is a bit inverted. Does Wenham offer any kind of explanation for this, particularly how it works with the chiastic structure? It would seem to me hard to propose this kind of structure if some parts are left out and others must be moved around, but it's been a while since I've looked at Wenham's commentary on Genesis. He could very well have a good explanation. For my two cents, I, like James, appreciate this kind of analysis, but sometimes I find them to be a little forced at the macro level. In other words, people tend to find chiasms when they are looking for them. By the way, I'm not questioning this to suggest a "sloppy editor." But, while I do think many source critics take matters too far (i.e. imposing sources when they are not really there), I do think there is something to source criticism. Couldn't the duplication be the result of clever editing? I'm just beginning to grasp style in Hebrew, but it seems to me that there are 2 different styles within the verses you quote. Why not a gifted redactor who combines 2 streams into a literary structure? Thanks for all the great comments. I agree that the Wenham's structure is less than perfect but I do think it is too interesting to be dismissed. Perhaps I should have qualified my remarks. I am not at all saying that source criticism has no value whatsoever. At the same time, however, I do think that far too much has been made out of duplicate material. . . FAR too much! Gary Anderson taught me about this. It is EVERYWHERE in Genesis. This type of parallelism, along with other types, fascinates me, though some seem forced. For those interested I'd like to mention of few books, the first three by Peter F. Ellis, a fairly well known and respected Catholic scholar. Style & Structure in Biblical Hebrew Narrative, by Jerome T. Walsh. Genesis, by David Cotter, part of the Berit Olam series. The Crucial Bridge, by Thomas L. Brodie. 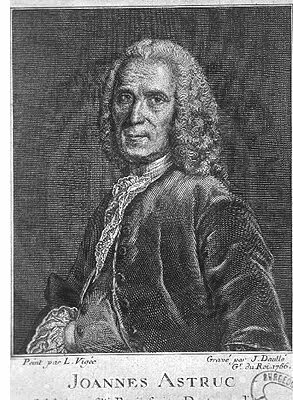 Also, off topic, is anyone familiar with the commentaries of Bernardin a Piconio (Bernardine De Picquigny)? He was a Capuchin Friar/scholar in the 17th century who wrote a series of commentaries on St Paul which enjoyed great popularity. I've been posting excerpts from his works on my blog and was wondering what modern scholars think of his work. more details and open floodgates to your online income. All the best. I'll Be Speaking. . .